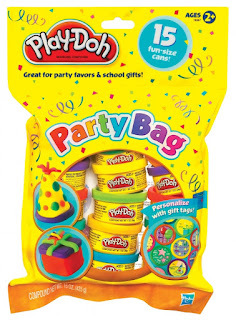 Quinn Rollins: Play Like a Pirate: Play-Doh on the First Day of School - An Alternative to "What Did I Do This Summer?" Like most teachers, I have a love/hate relationship with the first day of school. I love getting back into my job/calling/mission. Teaching really completes me as a person. But then it's also like...I have a job again, and summer's over, and I can't go running , hike, watch Netflix all day. Then there's always the question of what to do on that first day. At the secondary level many teachers feel obligated somehow to spend the class period reading every word in their disclosure, reading all the classroom rules, basically...making the students' first exposure to their class one of the most boring days they'll have all year in that class. A lot of teachers have students write or present something about "What I did this summer"...which is better, but can also take up a lot of time. If I have 25 students, hearing or reading about all that they did running, hiking, Netflixing -- that eventually becomes nearly as boring as devoting the entire class period to your rules. In reality, as a secondary teacher, I'll have right around 200 students -- at which point any piece of writing that is more than a post card becomes miserable after a few class periods. I prefer to get a little bit of fun in the mix, while still serving the needs that we have as teachers. Truthfully, I do want my students to get some of my disclosure statement (and depending on your admin, you may be required to read every word of that document in that first week of school at some point), I want them to know my personal classroom rules...but I also want to start establishing classroom climate, and I want to start them on my content. My content is important, I love it, I want them to love it too. One of the ways I engage students on the first day of school is with Play-Doh. I know a lot of teachers (even secondary teachers) use Play-Doh already, including Teach Like a PIRATE Captain Dave Burgess. 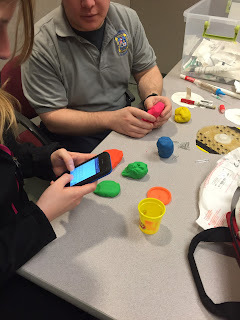 A chapter in my own book Play Like a PIRATE: Engage Students with Toys, Games, and Comics is about Play-Doh. And you should buy it and read it. Buy ten copies even. One hundred. I won't even be mad. 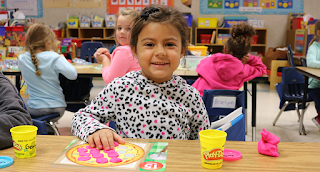 Have students seated in groups of four, and each with a chunk of Play-Doh. They don't need a full-sized can, just enough to work with. 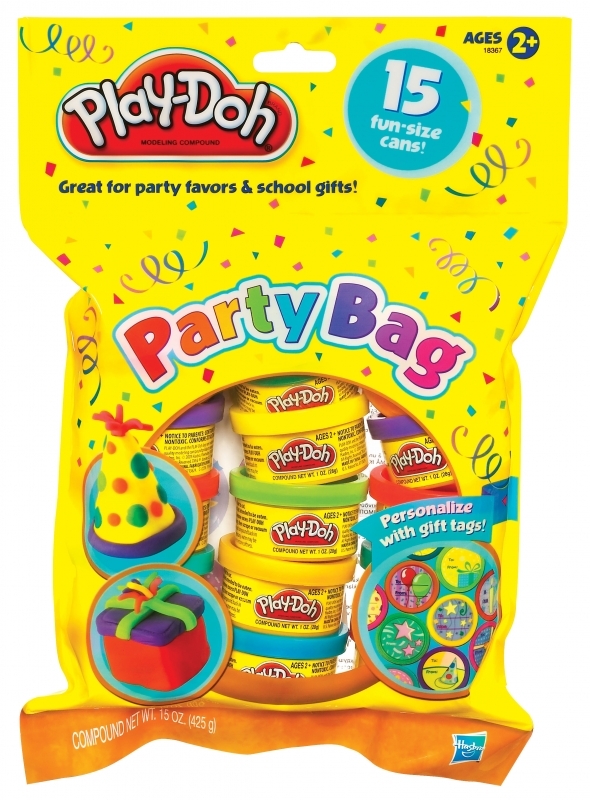 (aside: the ideal Play-Doh purchase for most teachers is the 15-tiny-can Party Bag pictured below -- it's $12 on Amazon, but it's right around $5 at Target, Wal-Mart, etc.) Seated in groups, they'll be watching what the other kids at their table are making, asking questions about it, being interested in their creations, much more than if you were having them all take turns reading their statements about what they did over the summer. It will be an ice-breaker for them, which you want as much as an ice-breaker for you. At the end of each round, you can ask for a few kids to volunteer what they made, and build them up that way, starting to mold (ahhhhh, get it? ahhhh) your classroom climate into what you want it to be for the school year. What were you doing one week ago today? What was the best day of your summer? What's one rule every student should follow? What's the most important invention of the last one hundred years? If you were going to eat one food for every meal for a month, what would it be? What's a right you have as an American? What's one thing you would change about the United States? That's it. Two or three minutes per question, they share at their tables, you have a few kids share their answers out to the whole class. I'm a history teacher, so a few of the questions start them thinking about rights, leadership, the current state of things in the United States. Some of it looking back at history content they should already know, some of it is looking ahead to what we'll be talking about during the school year. If I taught language arts, music, science, psychology, I'd put different prompts in there. It gives kids a chance to express themselves, it lets them get to know each other, and it helps ease the transition from their running a marathon Netflix summer to the classroom. 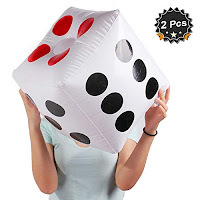 A way to gamify this a bit more: having six prompts and then rolling having a single student roll a jumbo die (whether or not you do it for this, having inflatable jumbo dice on hand is a great idea). The student rolls a 4, so the entire class sculpts prompt 4, Sculpt the President's Hairstyle. You'll repeat this 4 times; half of the prompts will be about your class content, the other half just fun or silly or get to know you things. Rolling the die makes it a little more exciting for them, and more interesting for you because you're getting slightly different answers in each class period. You want the entire activity to be about 20 minutes, so they don't get bored with it, and you're able to move on to other things in your class period. If you're looking for more ideas about using Play-Doh, LEGO, Action Figures, Superheroes...a lot of other stuff in the classroom, check out Play Like a Pirate: Engage Students with Toys, Games, and Comics. It's at Barnes and Noble, it's at Amazon, it's Everywhere Fine Books Are Sold. But mostly Barnes and Noble and Amazon.